Grand Rapids Car Accident Lawyer. Grand Rapids Auto Injury. Grand Rapids Car Accident Attorney. It always amazes us how poorly Michigan insurance companies handle auto accident claims, especially after a serious accident in Michigan. Many clients who have been injured in Michigan auto accidents come to us for help because they do not get straight answers from insurers, and in some cases no answers. We understand the frustration and help with a thorough investigation to determine the cause of the accident and who holds responsibility for the resulting injuries. 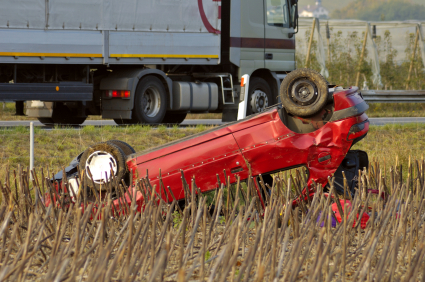 We answer questions for victims of accidents, and we are best positioned to answer yours. Accident claims in Michigan involving death or serious injuries require the highest level of attorney skill and experience. But that’s just half the equation. Michigan accidents resulting in brain injury, paralysis, disfigurement, burns, death, or catastrophic injury require medical expertise, too. Lawsuits for injured people and their families demand, from beginning to end, the expertise of experienced medical professionals to oversee the complex medical issues that are at the core of these serious auto injury claims. At Buchanan & Buchanan we employ and consult with experienced medical professionals in many different areas of medicine. Can I Sue the At-Fault Driver Who Injured Me in a Car Accident? Because Michigan is a no-fault state, many people assume they have no legal remedy if hit and injured by a reckless driver. That isn’t true. Lawsuits against the driver who was at fault are called third-party lawsuits in Michigan. In a third-party case, the injured person brings a claim against the driver who caused the accident seeking reimbursement for pain and suffering, and economic harms and losses if wage loss or household service loss are permanent or will continue more than 3 years after the accident (your own auto insurance pays a wage replacement benefit for up to 3 years). Money is paid by the at-fault driver’s insurance company, so long as he or she has coverage. Do I Have a Third-Party Auto Case? There is no simple yes or no because the answer depends on the unique facts of your claim. Our experienced legal and medical staff are always available to answer your questions and give you a free consultation. Call 800-272-4080. Most people don’t qualify for a third-party claim unless the accident injuries are severe. Third-party claims reimburse pain and suffering, and excess economic harms and losses that continue beyond the 3 years and are not covered by your own insurance company. To get reimbursement for pain and suffering, the injured person must have a “serious impairment of a body function” or “severe disfigurement” caused by the accident. In simple terms, an injury so severe that it impairs your ability to lead a normal life or disfigures you. *Important* Michigan law requires the injured person to show a “serious impairment of body function,” caused by the crash. This means someone can be in pain every day, but if he or she cannot show daily life is much worse after an accident, a third-party claim cannot be won. How Long Do I Have to File a Third-Party Auto Lawsuit? People injured in a Michigan auto accident have up to 3 years after the crash to file a third-party lawsuit, for pain and suffering from accident injuries or excess economic harms. However, there are instances where other coverage applies shortening the deadline by which you must to file a lawsuit to one year. What Does It Cost to Bring a Third-Party Auto Case? “What does it cost?” is a common question we hear. We work for our clients on a contingent fee basis, meaning we are paid an attorney fee only if we recover money for you. If money is obtained by a settlement or after a trial, we are paid a percentage of the recovery, like a commission. If we recover no money, you pay no attorney fee. Money spent to prepare the claim (i.e., filing fees, experts, copies, etc.) are the client’s responsibility under Michigan law, but our firm borrows the money (so you don’t have to). How Do I Win a Third-Party Auto Case? Yes, as a no-fault state, Michigan law requires your auto insurance company to pay related medical care as long as you need treatment for crash injuries. Your injuries may be so severe that the insurer is obligated to pay them for as long as you live. However, factors may complicate payment of your medical bills (e.g., auto insurer disputing certain treatments). If you have questions, contact us. If you are in a Michigan accident, you qualify to receive 85% of your lost wages if you are physically unable to work because of the crash injuries. The law sets a monthly cap on the amount of lost wages your insurer must reimburse. The wage-replacement benefits are tax-free and may continue for up to three years. As you see, whether and to what extent you get reimbursements for crash-related harms and losses depends on correct application of Michigan’s no-fault law. Often insurance companies, perhaps even your own, avoid paying what Michigan law requires. They delay and employ tactics depriving you of reimbursements you are entitled to recover. It is important, especially for those with serious injuries, to immediately seek help from an attorney experienced with the no-fault law, like the attorneys of our law firm. Even a short delays by an insurance company can cause you to lose your rights to reimbursements. If you or a loved one has been injured in a motor vehicle accident, contact Buchanan & Buchanan today for help and the reimbursements you are entitled. Michigan No Fault Insurance Laws are confusing – Car accident claims in Michigan involving death or serious injuries require the highest level of attorney skill and experience, and medical expertise. One out of eight auto accident fatalities involve large trucks such as big rigs or tractor trailers. 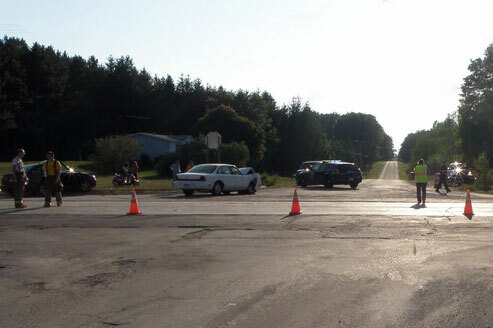 Motorcycle accidents in Michigan are frequent and dangerous – we are here to help. With increased bicyclists on our roadways, the number of bicycle accidents are increasing.